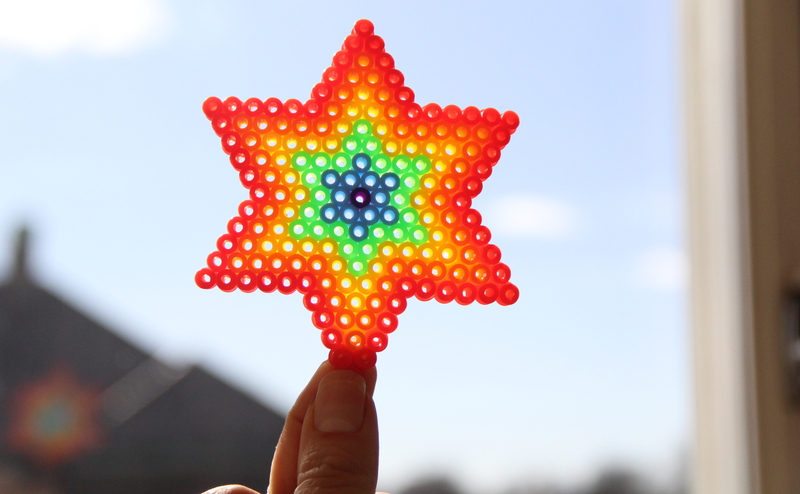 On my pinterest board “DIY projects to try” I have had a pin for a while on a hama bead rainbow and it puts a smile on my face every time I see it. So I decided to make my own. 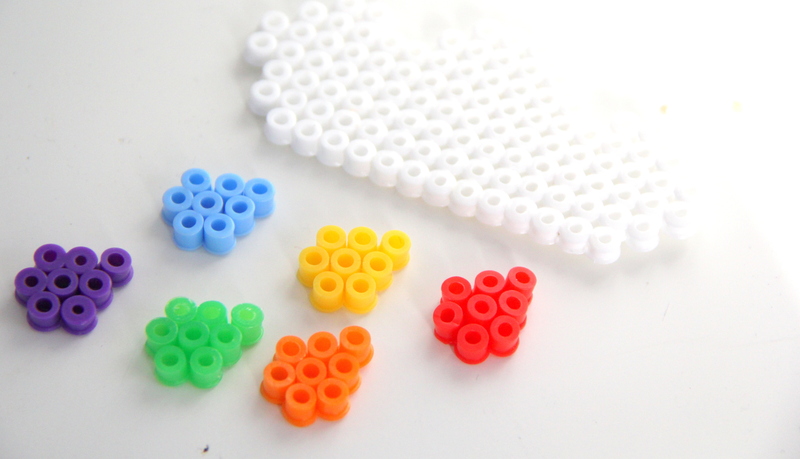 It’s really easy, all you need are some hama or color beads in the color of your choice and a board. 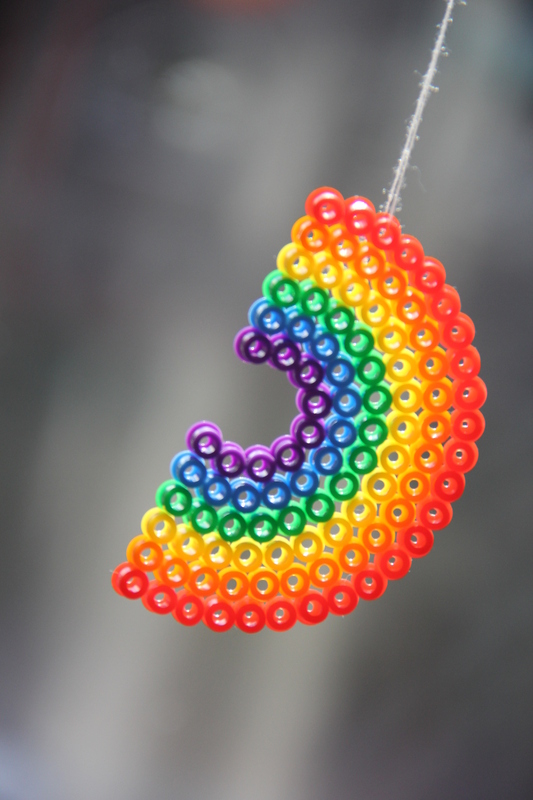 Place the beads on the board, iron on one side, or both if you like the melted look, and you are done. I made a star and a rain cloud while I was at it. Omg these were my childhood jam!